Bio | Gary Chyi, Esq. Gary comes to Counsel Press with experience in filing numerous criminal and civil appeals in multiple federal courts after eight years in private practice and two years clerking for the United States District Court for the Northern District of Ohio. His last two positions were with the prestigious law firm of Kirkland & Ellis LLP and the Office of the Illinois Attorney General. Mr. Chyi focuses on filings in the Illinois and Wisconsin state courts of appeal and supreme courts, and the U.S. Courts of Appeals for the Sixth, Seventh, and Eighth Circuits. 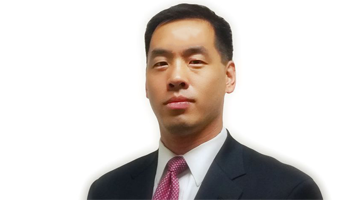 Mr. Chyi is an experienced litigation attorney, having worked on numerous cases in federal and state courts at the trial and appellate levels. During his litigation career, he worked on one of the largest, lengthiest, and most complex airline bankruptcy cases at the trial and appellate level, as well as overseeing discovery matters in the largest civil discovery process in U.S. history, in the Gulf of Mexico oil spill multi-district litigation. Having handled civil matters at all levels in large and complex matters, he brings to bear a deep appreciation and understanding of the nuances of substantive and procedural requirements affecting the appeals of his clients at Counsel Press. Mr. Chyi received his J.D., with honors, from the University of Michigan Law School. He received his undergraduate degree from Georgetown University, where he majored in government. He is admitted in the State of Illinois, the U.S. Courts of Appeals for the Sixth and Seventh Circuits, and the U.S. District Courts for the Northern District of Illinois and the Eastern District of Wisconsin. Thank you so much for all your hard work in getting these Final Briefs prepared and filed. I very much appreciate your dedication, professionalism and trustworthiness. It has been a great pleasure working with you and if I ever need filing assistance in the future, you're the one I will call. You and your staff have been wonderful. Thank you again. Kravit Hovel & Krawczyk, S.C.
That is actually a really really good result, the more I think about it. Thanks again to you and your team. You came through for us big-time. Thank you again for your assistance in getting our brief filed today. The finished product looked great. I look forward to using your services again in the future. The briefs look terrific. Thank you for all your hard work, I know that we demanded a lot, but you and your company produced a very nice product.